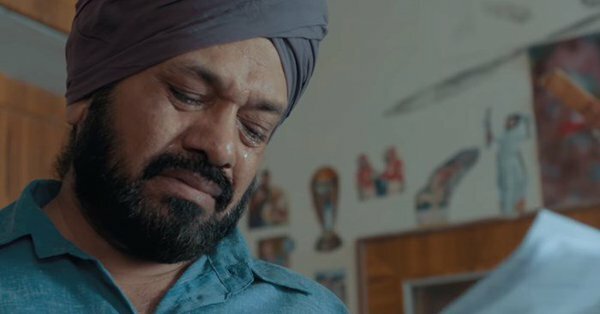 Check out for Son of Manjeet Singh 2018 Punjabi Movie Trailer Stills Images and wiki details. The makers of the movie have released the official trailer of the movie under Saga Music label on 26th Septemeber 2016. The trailer of the movie shows the relationship between a father and son. The trailer shows how a father struggles in life just to make his son study and become successful. The movie is scheduled to release on 12th October 2018 worldwide in theaters. The trailer of the movie has been shared by the cast and crew of the movie. Son of Manjeet Singh 2018 Punjabi movie is directed by Vikram Grover. The movie is produced by Kapil Sharma and Sumeet Singh under Seven Colors Motion Pictures production banner. The screenplay of the movie is narrated by Dheeraj Rattan. The dialogues of the movie are written by Surmeet Maavi. The upcoming Punjabi movie is starring Gurpreet Ghuggi, Karamjit Anmol, BN Sharma, Harby Sangha, Malkeet Rauni, Damanpreet Singh, Deep Mandeep, Japji Khaira, and Tania in lead roles. The music of the movie is composed by Wilson, Darshan Umang, and Harry Anand. The background score of the movie is given by Surender Sodhi. The cinematography work of the movie is handled by Vineet Malhotra. The editing work is done by Ajay Sharma.